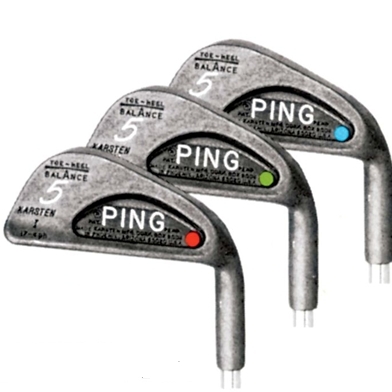 PING offers the most time-tested and precise custom-fitting process in golf, one proven to generate the optimal ball flights and consistency you need to shoot lower scores. To personalize your fitting experience, we offer both a Level 1 or a Level 2 fitting, which is more in-depth. With either option, you come away with the exact club specifications that fit your individual swing to deliver the results you’re looking for. 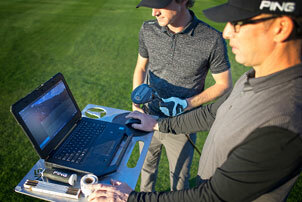 See your favorite PING fitter to determine which level of fitting best suits your needs. PING's commitment to fitting begins long before we manufacture a golf club. Engineering is the crucial first step, by designing a club for a specific type of player. It's the PING way. And it's how we approach every club we make. PING's thorough and precise fitting process involves your entire bag. From determining your driver loft, your irons' lie angle or the length of your putter, we'll establish the specs and the set makeup that help you play your best golf. Our hands-on approach continues as we custom-build your clubs at one of our facilities. Whether it's one club or an entire set, we build to your specs, assembling and calibrating by hand until you're holding clubs made just for you. PING’s reputation as the club-fitting leader has been earned through decades of research and experience in the field. Our methodology has been adopted by thousands of club fitters around the world to guide you in finding the specifications that help produce your desired ball flight.